UNBELIEVEABLE PRICE IMPROVEMENT FOR A ONE OF A KIND PROPERTY IN THE HEART OF PONTE VEDRA BEACH. 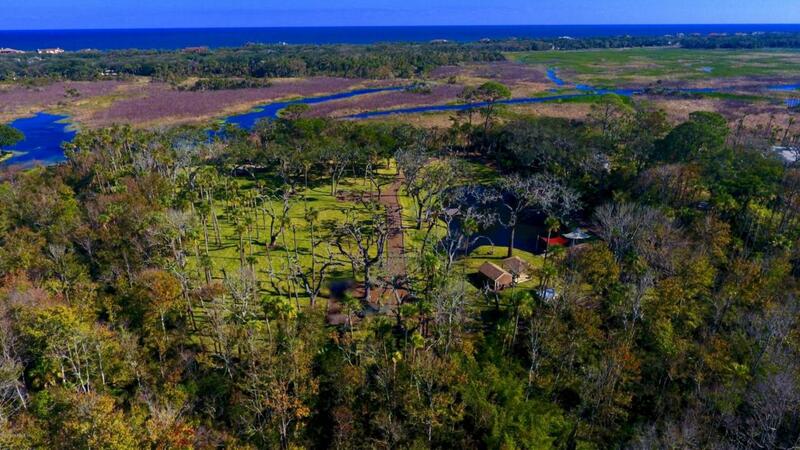 A COMBINED 400 FEET FRONTAGE ON LAKE PONTE VEDRA - SITTING ON THE ONLY NATIONAL ESTUARINE RESEARCH RESERVE ON THE EAST COAST OF FLORIDA, WITH UNBELIEVABLE UNOBSTRUCTED VIEWS. A TOTAL OF 4 LOTS SPREAD OVER ALMOST 8 ACRES. THIS UNIQUE PROPERTY IS IMPROVED TO INCLUDE A PARK LIKE SETTING W/LARGE POND STOCKED WITH KOI FISH, 3 STORY OBSERVATION TOWNER, HUGE FIRE / GATHERING CIRCLE, AND STREAMS. DRY ROADS, LANDSCAPE LIGHTING AND IRRIGATION INSTALLED THROUGHOUT THE PROPERTY. ELECTRICITY LOCATED THROUGHOUT THE LOTS AS WELL. 2 WELLS, A PUMP HOUSE, STORAGE SHED, AND ROOFED PICNIC AREA, BOAT DOC. THE OCEAN IS LESS THAN 1/2 A MILE AWAY, AND PONTE VEDRA RESTAURANTS & SHOPPING LESS THAN 4 MILES AWAY.PRIVACY FOR ALL. NATURE ABOUNDS IN THIS 'JEWELL' OF A SETTING, YET CLOSE TO ALL CONVENIENCES. SEE THE FULL VIDEO FOR A 'BIRDS EYE' VIEW OF THIS UNIQUE PROPERTY AND ITS ATTRIBUTES. BUYERS TO VERIFY SQUARE FOOTAGE.